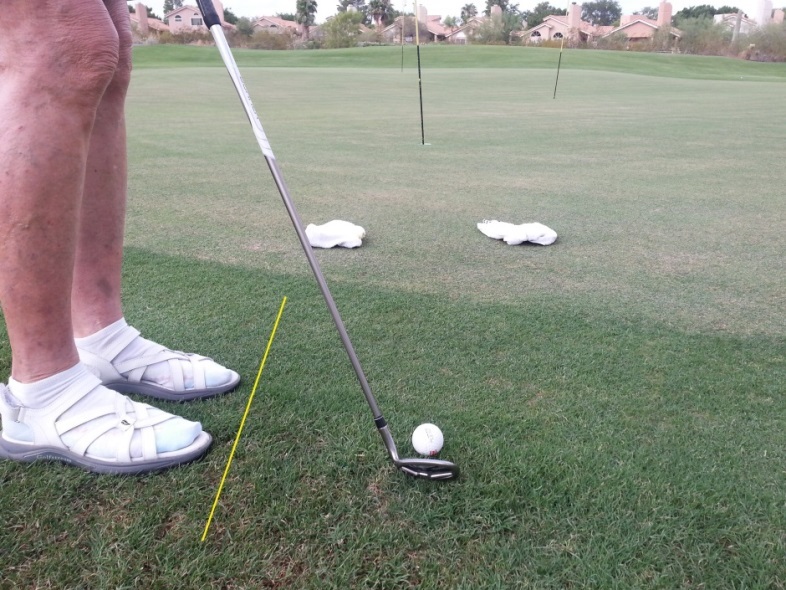 I see players take more stokes from inside 20 yards than it took them to go 400 yards! 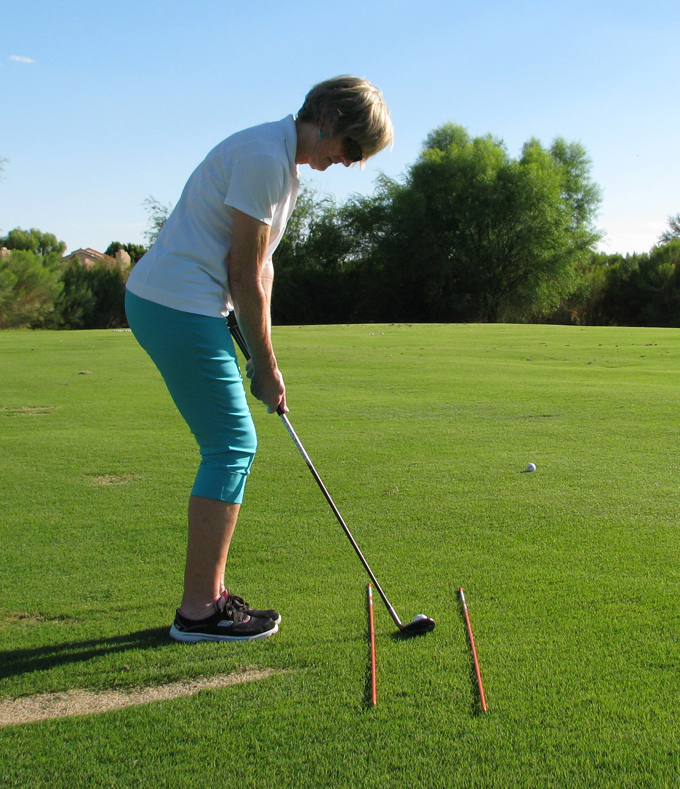 Learning the basics to chipping can easily eliminate one stoke per hole! How you ask? 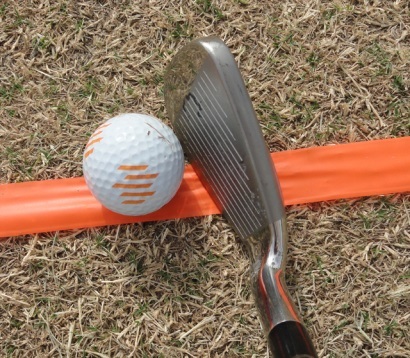 Practice the chipping technique with 2 or 3 clubs (PW, 9 Iron, 7 Iron) to learn distance control. These different lofts will create different length chip shots. 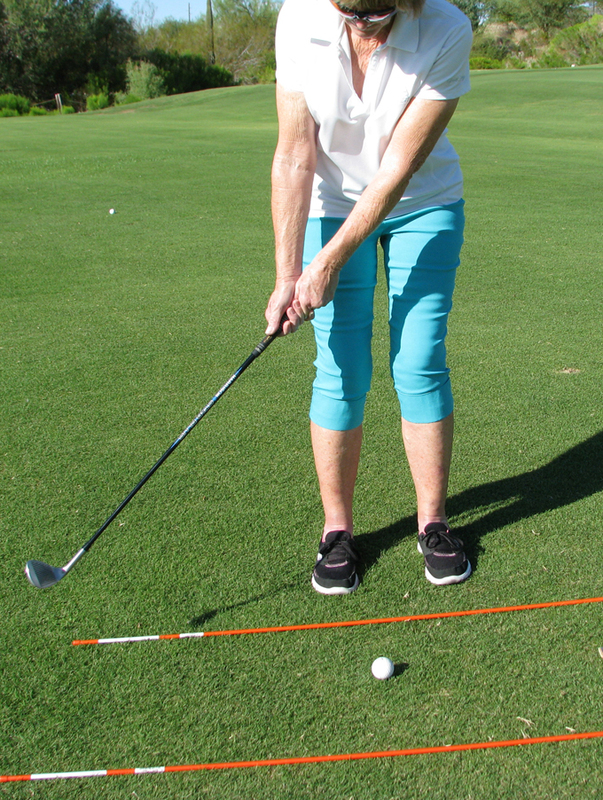 d) put weight on the target side (left side/rt.hand golfer) and keep it there for the entire swing. 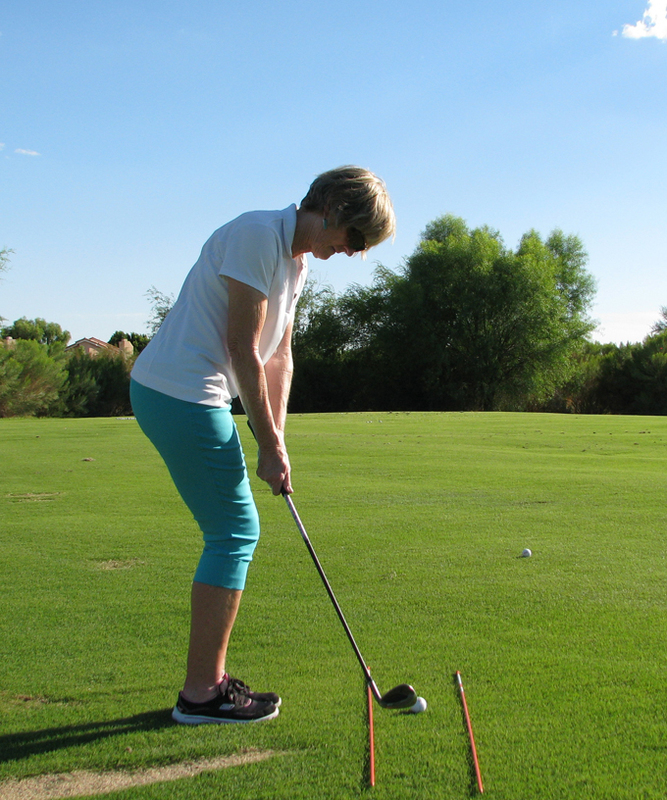 Swing: The swing is a firm wristed arm swing, (possibly feeling like you are sweeping with a broom). 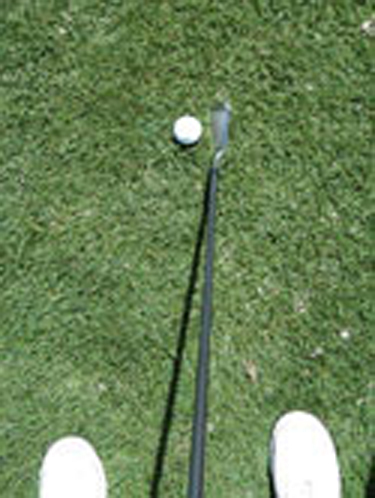 The set-up creates a slight descending strike to the ball. 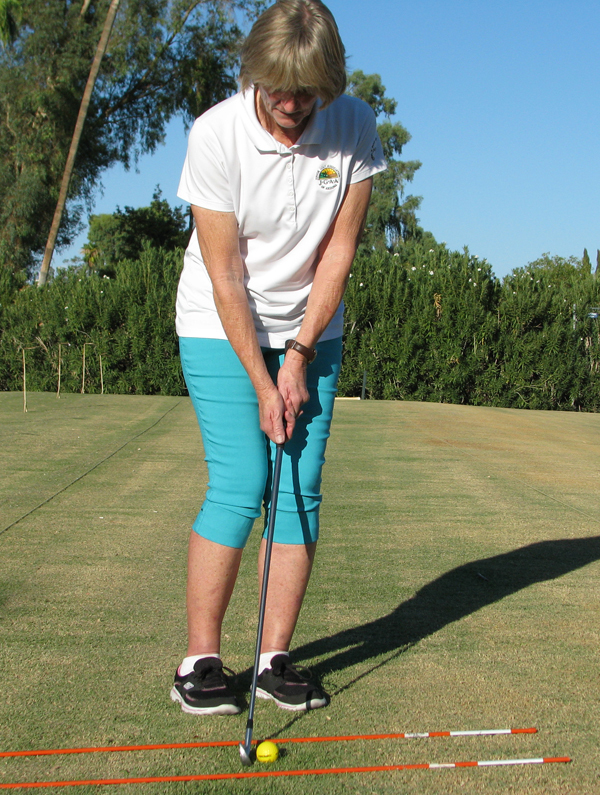 The ball will pop up in the air and roll forward on to the green. The various lofts on the clubs (PW, 9 Iron, 7 Iron) will create various distances. 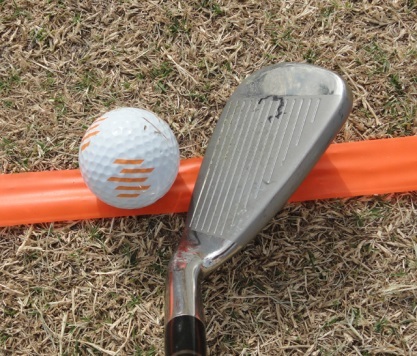 Practice this shot from the same location and the same landing area on the green with each club and notice the different lengths the ball rolls once it is on the green. 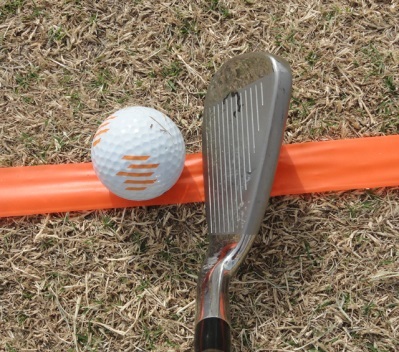 Use this knowledge when you are out on the golf course to lower your score! 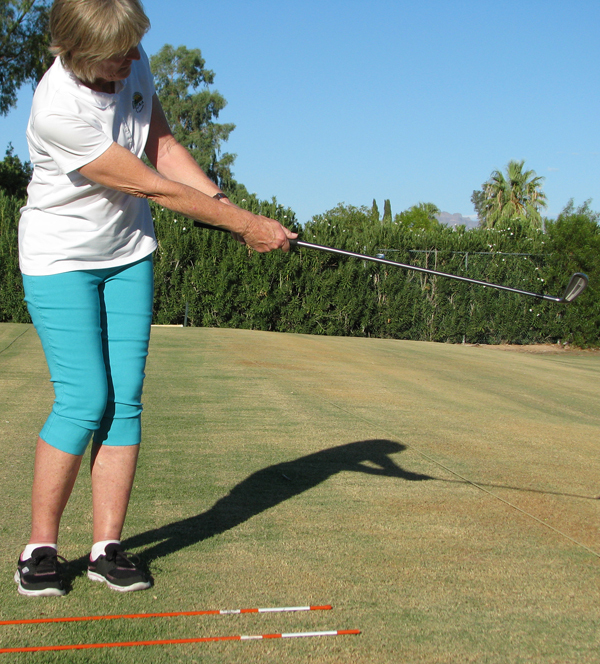 The secret for this shot is to keep your lower body “quiet” (no movement) and it will be easy to keep the wrists firm.